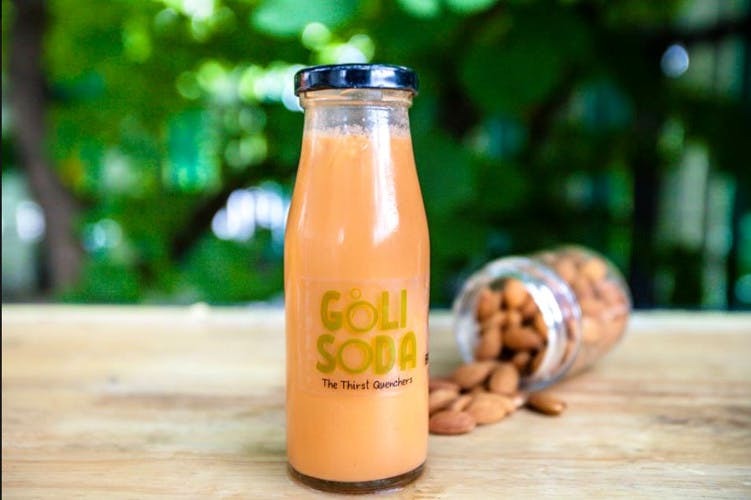 A flavour for every season — Goli Soda — a local Hyderabadi startup makes delicious drinks and you can grab them at INR 35 & upwards a bottle or INR 150 & upwards a pitcher. Do you take a certain joy in fresh juices or drinkies? Then Goli Soda is handmade for you. We discovered this brand at a drive-in and got intrigued as it’s not every day you find Nannari Sharbat. Bottled in dainty plastic bottles (Or glass bottles, the choice is yours), this drink along with many other variants can jazz up your meal or the pitchers can be refrigerated. The buttermilk and coconut water (With coconut chunks) are basic yet classic. But our love explicitly goes to the fruit milk and rose milk, along with Nannari — a drink made from the roots of a plant. These are refreshing and if you are looking for a drink on the go, you’ve got to try these. Plus, they are budget! Goli Soda also has more variants like Arabian Pulpy Grape Juice, Kesar Milk, and sugarcane. But these drinks have no added preservatives which bring down its shelf life to 14 days. At the moment, you can taste this goodness at a few drive-ins, but Swiggy delivers them to your doorstep. So, order them and stay hydrated.